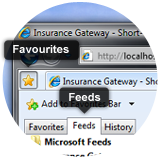 Please note the feeds below are for the Life Consumers Gateway only. Below is a sample of the RSS Feed for the Life Consumers Press Room. The mortality experience of individuals who were issued insurance many years ago and have not necessarily been recently approved for insurance. As distinguished from select mortality.